In the upcoming film Iron Man 3, Robert Downey Jr. reprises the role of Tony Stark, brilliant technologist turned armored superhero, to battle the terrorist cult leader known as the Mandarin. But this isn’t just the latest in a wave of superhero adaptations from Marvel Studios. Events have been building to this moment ever since Tony was forced to create a sophisticated suit of armor out of scraps in a cave. Understandably, it can be a little confusing at times trying to keep track of who’s who and how characters relate to one another in this fictional universe that spans not just three movies, but a whole Marvel Cinematic universe connecting various film franchises. But have no fear. Here’s a handy infographic to help you brush up and explore the relationships between Iron Man’s many super-heroic allies and fearsome foes. 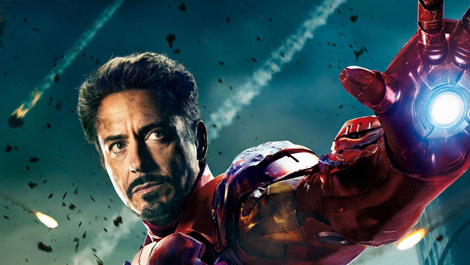 Walt Disney Pictures and Marvel Studios have debuted a new TV spot for Iron Man 3 in which Tony Stark has a little greeting for the Mandarin. You can watch it below! Hitting 3D, 2D and IMAX theaters on May 3, the Shane Black-directed action adventure stars Robert Downey Jr., Gwyneth Paltrow, Don Cheadle, Guy Pearce, Rebecca Hall, Stephanie Szostak, James Badge Dale, Jon Favreau, Ben Kingsley and Wang Xuequi. The film pits brash-but-brilliant industrialist Tony Stark/Iron Man against an enemy whose reach knows no bounds. When Stark finds his personal world destroyed at his enemy's hands, he embarks on a harrowing quest to find those responsible. This journey, at every turn, will test his mettle. With his back against the wall, Stark is left to survive by his own devices, relying on his ingenuity and instincts to protect those closest to him. As he fights his way back, Stark discovers the answer to the question that has secretly haunted him: does the man make the suit or does the suit make the man?